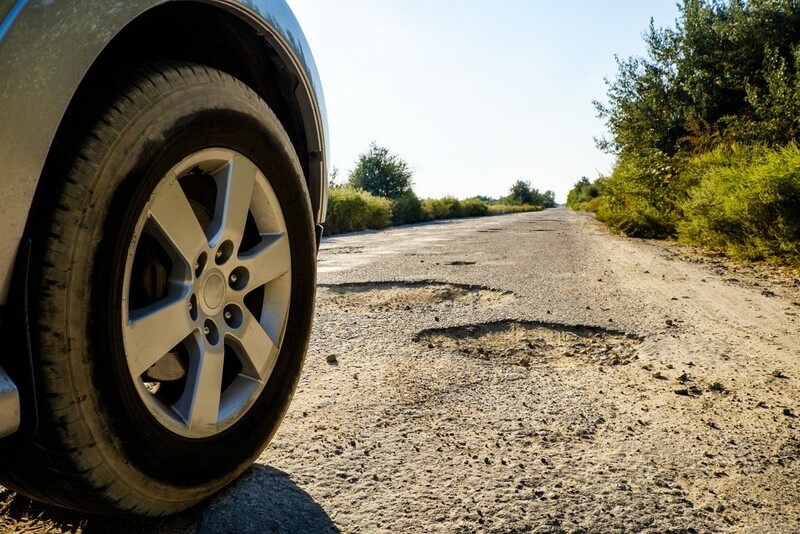 May 4th, 2017 by Chloe L.
Potholes are dangerous holes in the road that can damage your vehicle. Not only can you blow a tire but you can bend and damage your wheels, mess up the car’s alignment, and even hurt the exhaust. Therefore it is imperative to avoid the potholes as much as you can. Need some tips on how to see them and what to do when they are unavoidable? Read on. Pay attention to the road, especially in the rain. Potholes aren’t as easy to find as you would think. If it has been raining, it could just look like a puddle. With that being said, avoid puddles as much as possible and you can avoid hidden potholes. If you can’t avoid a pothole, slowly drive over it. Sometimes you can’t avoid them as there are cars around you. When this is the case, slow down as much as you can (safely!) and your car will usually be okay. If for some reason you don’t see one and hit one, pull over. Pull over safely as soon as you can and check for damage. If there is any damage do not continue to drive until after you have the car looked at! Keep up with us on Facebook and Twitter for more driving tips this summer.